Shrubs are woody plants which produce multiple stems, shoots or branches from their base, but do not generally have a single trunk. Shrubs provide a mixed garden with structure and form. 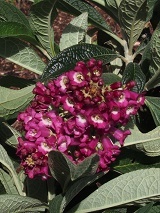 Many shrubs are grown for their flowers, however many also have coloured, variegated or interesting leaves.